Hail, hail the (cosplay) gang is all here. 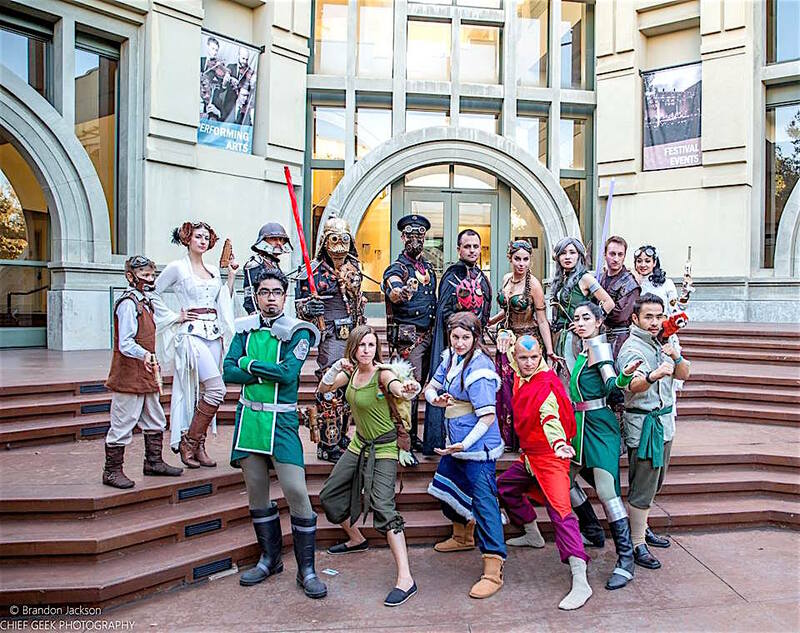 Nerd Con 2016 has come and gone from the California Center for the Arts, Escondido and its immediate environs. Gone, but not forgotten, as evidenced by memories, and when those memories fade, Vblog accounts. Over 3,000 nerds and fellow travelers descended over, under, around and about the California Center doing what nerds do and heaven can wait. Major emphasis of the big show that ran away from complacency and many things normal Aug. 26-28 was on comic books, sci-fi, cosplay, video games and anime with liberal doses of music, art, shlock and display booths designed to satisfy all desires d’nerd. Such the concept gathers new life in these socially media-riffic times. 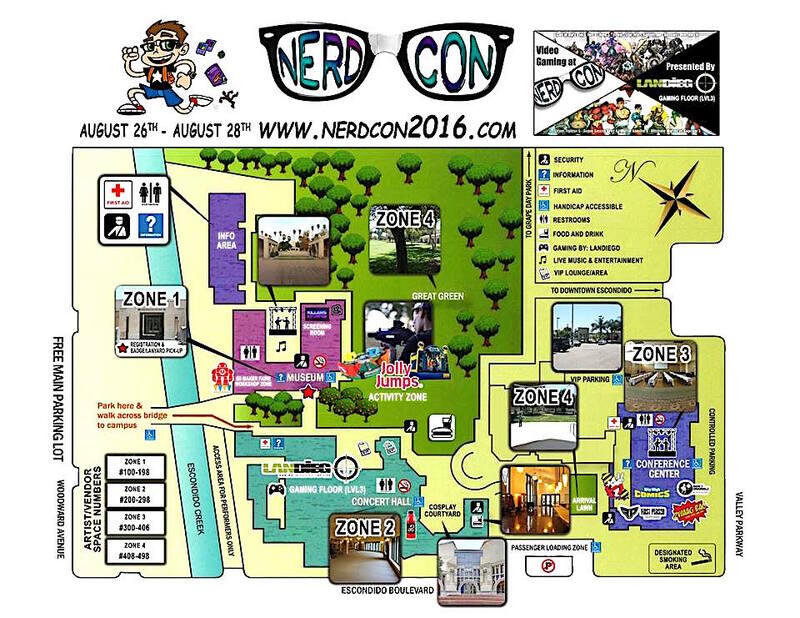 Without further ado, Nerd Con 2016 and you…were…there. A good time was had by…all? 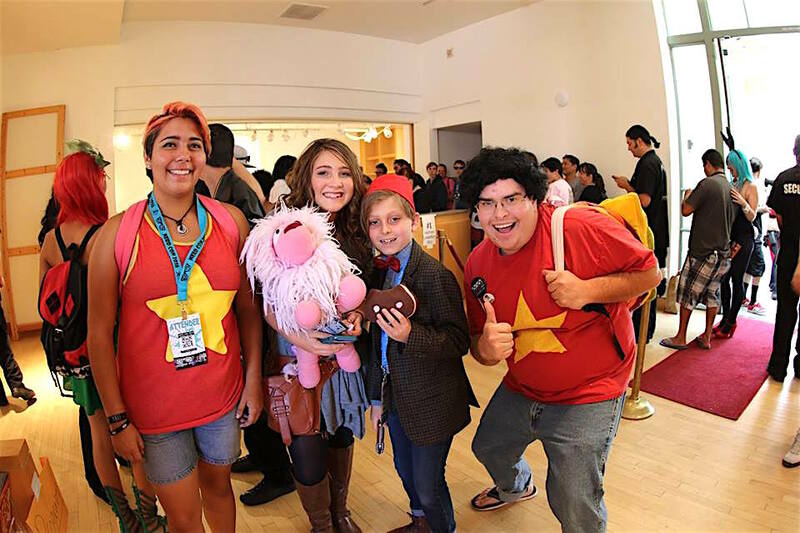 Be the first to comment on "Nerd was the word at Nerd Con 2016"